This post has turned out to be somewhat of a last minute one, due to the fact that my laptop has decided to completely break to the point where I fear it won't ever be rescued. So I do apologise, but better late than never, right?! 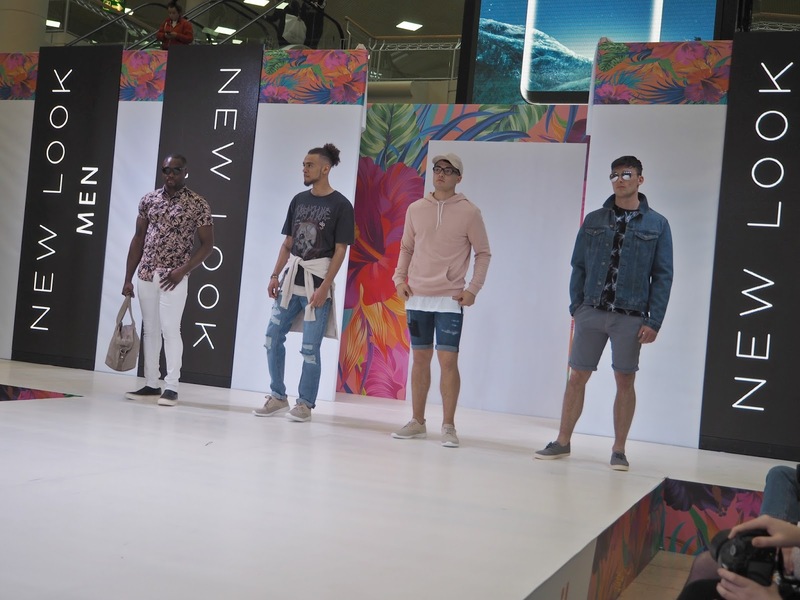 I'm here to tell you all about the free fashion shows that are being held in Town Square (ground floor outside House of Fraser) of intu Metrocentre, Gateshead until Sunday 30th April, which I attended the launch of on Thursday evening. The team at the Metrocentre are always really proactive when it comes to organising events and launches within the shopping centre and this year's S/S shows are the best I've seen so far. 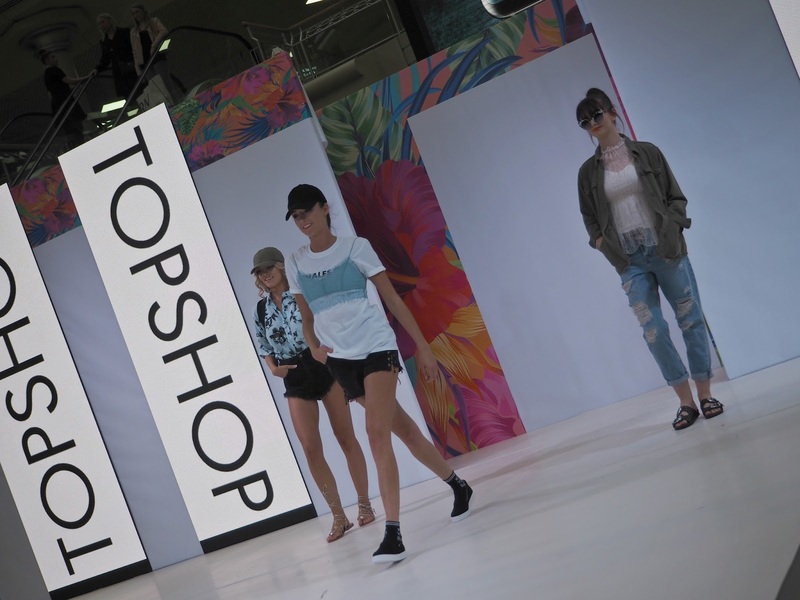 The huge catwalk area is surrounded by pink velour covered seats and displays videos of models wearing the newest trends from some of the most popular stores housed in the Metrocentre. The area surrounding is decorated with a Summer holiday theme, with lots of flamingos, pineapples, palm trees and even a cute, white picket fence. 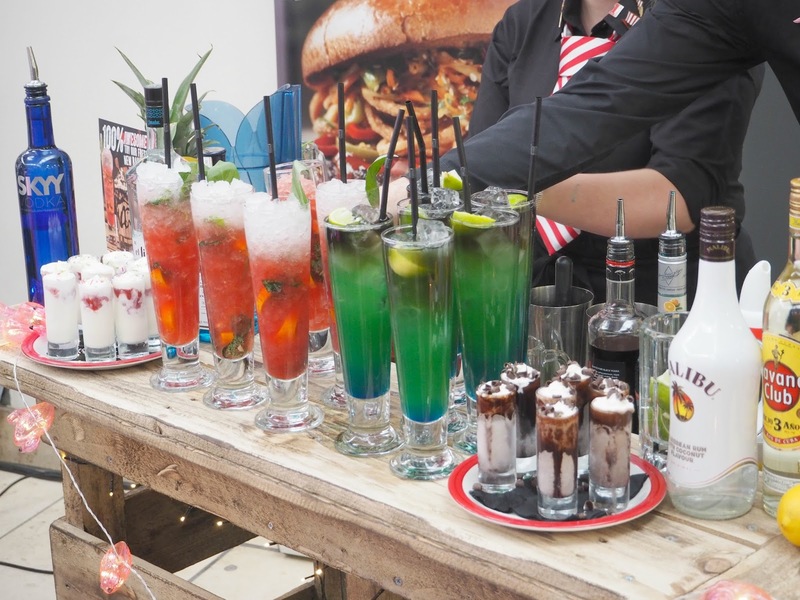 For the launch night, we were treated to food from Barburrito and cocktails and mocktails from TGI's... 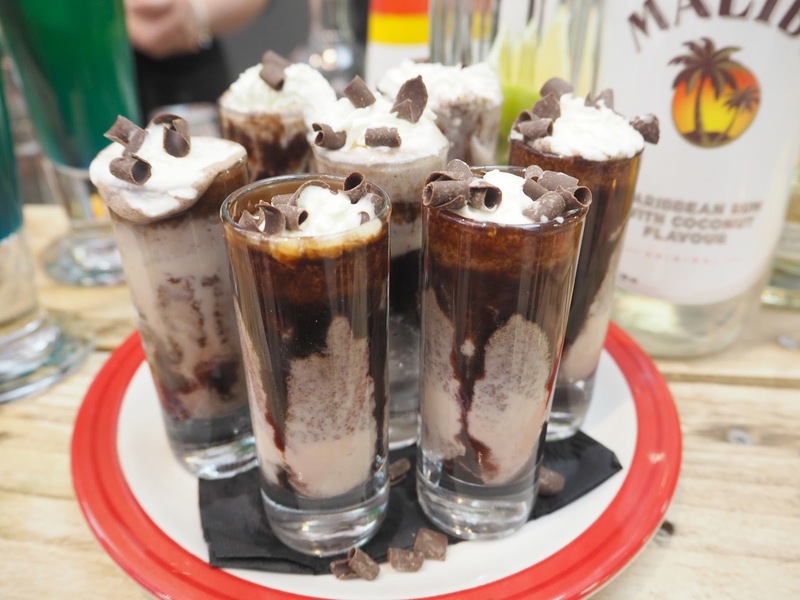 I have to add that the new Choccylicious and Birthday Cake Shakes really are unlike anything else I've tasted - so delicious! The shows are designed to give inspiration for Spring/Summer wardrobes and styling for both men and women and they cover a huge range of occasions from wedding outfits right through to beachwear. On the catwalk you will find BBC Newcastle's Anna Foster hosing all of the shows and some really beautiful models showcasing some of the key trends and pieces from stores including Topshop, New Look, Accessorize, Primark, Coast and Tessuti - There's sure to be something to suit everyone's tastes and budgets. My personal highlight's from the show had to be the gorgeous black maxi from Miss Selfridge which was layered over a cold shoulder band style tee, such a simple but effective look! And if I had an occasion to go to, I'd be taking myself straight to Coast to try on some of the beautiful outfits worn by the models - the sequin covered top is just stunning! So if you're heading to the Metrocentre this weekend, head straight to the information desk to collect a leaflet telling you which stores are offering exclusive discounts, and then make sure you catch one of the shows at 11am, 1:30pm and 3:30pm. Sounds amazing! Love all things like this! Great photos.